Angarak Ganesh Chaturthi is an auspicious day dedicated to Lord Ganesha in a traditional Hindu calendar. In 2018, there are three Angaraki Ganesh Chaturthi - April 3, July 31 and December 31, 2018. Angarika Chaturthi is observed when the monthly Sankashti Chaturthi falls on a Tuesday. The day is then considered highly auspicious and great importance to Ganpati devotees. Sankashta Chaturthi Vrata is observed on the fourth day during the waning phase of the moon (Krishna Paksha) or fourth day after the full moon. Moonrise time on July 31, 2018 is 9:37 PM as per traditional Hindu lunar calendar. Angarak, or Angarika, means fire and the name because Tuesday or Mangalwar is governed by Hindu God Mangal. Angarak Yog is considered highly auspicious. The fast performed on the day is meritorious. It helps in fulfilling wishes and in alleviating financial problems. Above all prayers and contemplation on the day helps a devotee to remove ignorance and attain moksha. As per Sage Vyasa, those performing puja, prayers, japa, and charity performed on Mangal Chauth or Angaraki Chaturthi will be blessed with peace and prosperity. They will never face any problems. The strength of the puja performed on the day is 10 million times stronger than those performed on ordinary days. Thus the benefits too are manifold. It is widely believed by Lord Ganesha devotees that observing the vrat will bring material progress, happiness, and fulfillment of desires. There is a huge rush in temples dedicated to Lord Ganesh on Angarak Ganesh Chaturthi, especially in Maharashtra. Those people who are having a delay in marriage due to Mangalik Yog will get relief after offering prayers on the day. It is believed that those suffering Mangal dosh in their Kundli will get relief after offering prayers and daan on the day. Solution to financial problems and to find relief from debt. The importance was explained by Lord Krishna to Yudhishtira, the eldest of the Pandavas. The popular belief is that Mangal Navgraha performed intense austerities and pleased Ganesha. A happy Ganpati gave the boon to Mangal Navgraha that whenever Chaturthi falls on Tuesday it will be known as Angaraki Chaturthi. He also promised Mangal that those performing pujas on the day will have their wishes fulfilled. Mangal who had got a bad reputation for creating trouble in horoscope was happy with the blessings. This story is mentioned in the seventh chapter of the Upasana Khand of Ganesha Purana. How to Observe Angaraki Sankashti Chaturthi? The fasting is from sunrise to the sighting of the moon in the evening. The vrat is also known as Mangal Chauth. Ganesha should be offered Shodashopachara Puja on the day. Red color murti or painting of Ganpati should be used for worship. The lamp on the day should be lit using cow ghee mixed with sindoor. Guggal (fragrance) dhoop is used on the day. The flowers that are offered are of Marigold (genda phool). Sindhoor is another important offering to the Ganesh murti. Modak or a sweet using jaggery should be prepared on the day. Just simply mixing jaggery with peanut is highly auspicious on the day. A Ganesh Mantra should be chanted 108 times using Moonga (coral) Mala or a red color rosary. 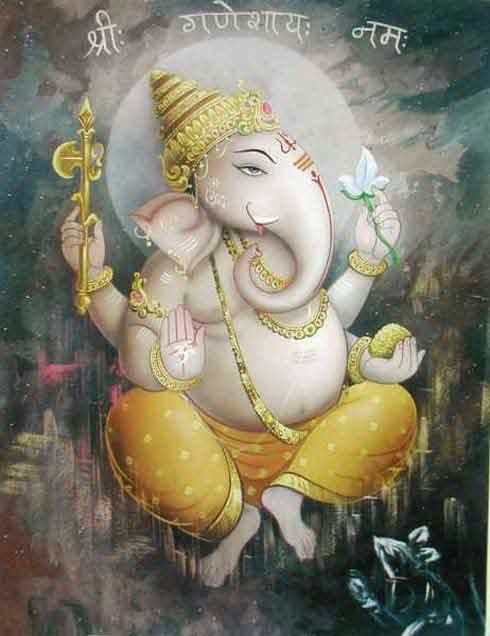 You can chant this mantra - ॐ चन्द्रचूड़ामण्ये नमः॥ - or any Ganesh Mantra you know. It is believed that making donation or daan on the day by wearing red color cloth is highly meritorious. You can give food items, money or clothes to poor people on the day. Offering 11 Laddoo to Ganpati and then giving it to children in the evening helps in finding happiness in life. Offering four Bilva seeds to Ganesha on the day and then keep it in the place you keep money at home will help in getting relief from debts. Those observing the fast can eat fruits, sabudana, and other vrat foods. Do not take salt on the day. Drink lots of water. Non-vegetarian food is completely avoided on the day.